Most children's magicians depend on props to entertain their audiences. Readers of books on the subject of children's magic expect to find detailed accounts of tricks and routines. While Paths to Enchantment has plenty of these, its central purpose is to set out in the form of a blueprint a method to enable readers to improve and devise their own routines. The majority of children's entertainers are so obsessed with obtaining and trying out the latest innovation that they seldom search within themselves and discover what new ideas they can apply to props they already possess. One block to such personal invention is the lack of a systematic structure the performer can apply to the task, a foundation on which to develop entertaining ideas from the subconscious. 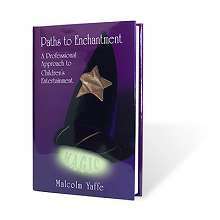 Clear and engaging in its unique approach, Paths to Enchantment maps out the routes necessary to arrive at a higher level of success and professionalism for those who entertain children or who wish to do so. 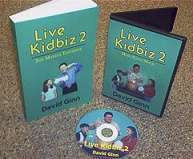 Its content breaks exciting new ground by giving children's magicians and clowns a step-by-step system designed to help them discover their own creative talents and increase the intensity of entertainment in their performances. 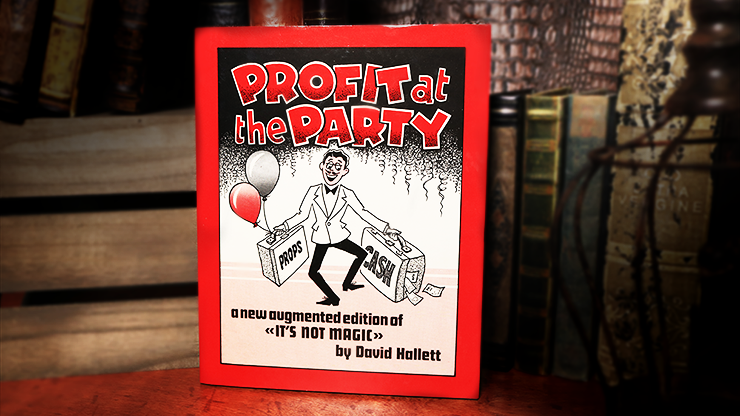 "This book is incredible.... You have not read another kid-show book like this one....be sure to get yourself a copy."